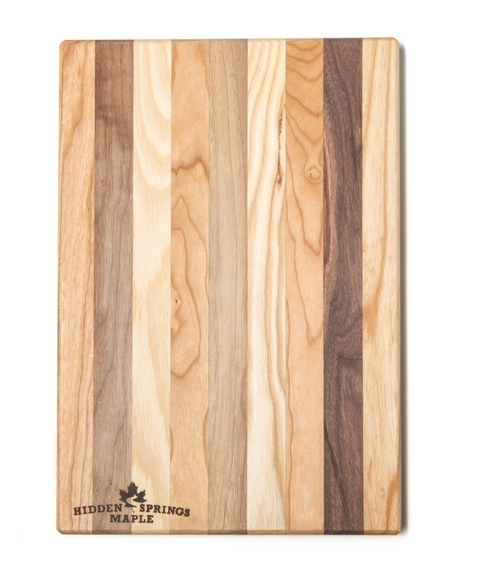 Pretty striped cutting board made of ash, black walnut and cherry, rounded edges, oiled, and engraved with the Hidden Springs Maple logo. Measures 13” by 8 and by ¾ “ thick. Made right here in Putney!